Acne scars are marks left where acne once was. While many people can treat acne without any permanent skin damage, some people are left with acne scars. Acne scars mainly occur due to popping and picking at pimples. When this is done, you are tearing at unhealed skin, causing severe damage. Acne scars can leave marks on the skin for up to a year or even a worse, a lifetime. It is very important to leave the pimples alone and not touch them. If the acne gets bad enough, it is recommended to make an appointment with a dermatologist. Chemical peel – This treatment is used to treat mild acne scars. In this process, the outer layer of skin is peeled off by using chemicals. It takes about a week for the skin to fully recover from all the dry skin that peels off but when the entire process is over, beautiful, fresh, new skin is apparent. It is recommended that a chemical peel should only be done by a medical skin professional. Laser Surfacing – Laser surfacing is another method of treating acne scars but should be performed by a doctor. Several layers of the skin are removed by using the high-intensity light beam or by crushing away the connective tissue so that new skin tissue can grow. The laser surfacing method makes the skin smoother and scar-free. Grafting – This method is utilized when the acne scars are deeply pitted and laser surfacing proves ineffective. The doctor uses a small piece of normal skin to fill in an area of scarred skin. Skin grafts are generally taken from skin behind your ear. This method is not applicable on skin with red marks for they are not considered permanent scars until after a year. 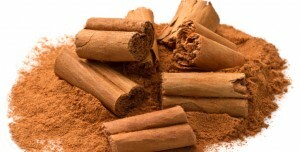 Natural treatment – Treating acne scars naturally is effective and inexpensive. 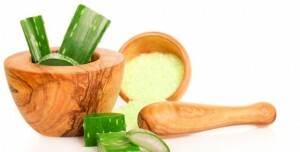 In this method the natural products are applied to scars, which may include using an oatmeal cleanser, honey, lemon juice, and Aloe Vera, just to name a few. Natural treatments produce great and effective results on scars slowly but successfully. The oatmeal cleanser is mixture of oatmeal powder and rose water, which is applied on the skin to reduce pimples and scaring. 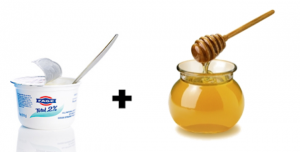 Another natural remedy to treat acne scars is using a honey mask. 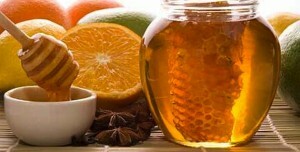 Regular application of natural honey on scars helps a great deal to fight against acne scars. Honey has natural antibacterial and antimicrobial enzymes that kill the bacteria present in and on the skin and makes the acne scars disappear. To treat acne scars with lemon juice is an effective natural treatment too. Simply apply organic lemon juice with cotton on the scars and rinse it off with warm water after a few minutes. Due to the presence of acid, it breaks the upper layer of acne scars tissue and reduces redness. All the acne remedies discussed above help in removing acne scars from the skin effectively. The only way to prevent acne scars is by treating acne as soon as it develops and by avoiding squeezing, popping, and picking at pimples. Coconut oil is also a wonderful, natural alternative treatment for acne scars. I use it in combination with micro-rolling. It is antibacterial and therefore prevents acne outbreaks too.